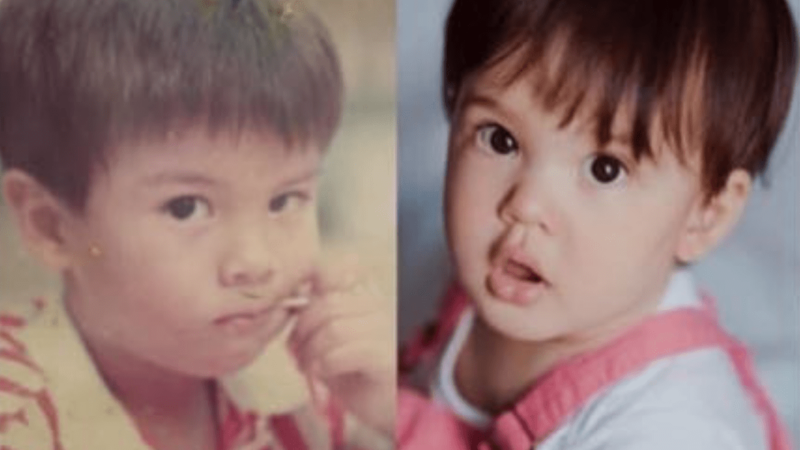 There's nothing like baby pics to start our week with, and today, let's feast our eyes on those of Baby Erwan Heussaff and Baby Baltie. 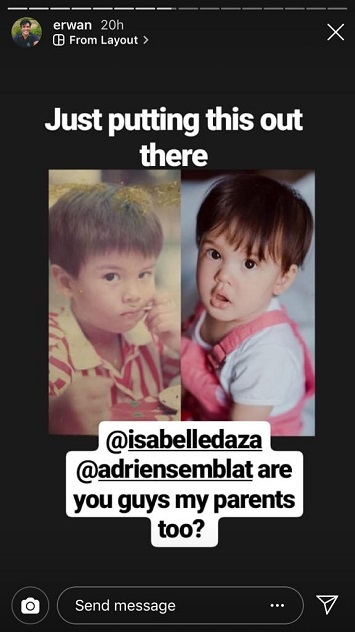 Erwan posted the comparison yesterday on Instagram stories, and we are dying with the cuteness and the resemblance. Check out those matching bangs! "Just putting this out there. Are you guys my parents too?" Erwan captioned the photo. This isn't the first time that Baltie has looked like Erwan, though. Remember when Erwan caught a photo of Baltie wearing a striped shirt and he joked he 'stole his look,' and when Isabelle Daza dressed Baltie up as Erwan? We still can't get over the way Isabelle described the Halloween costume: "His first Halloween for school, Balthazar is a content creator that has perfectly coiffed hair, is obsessed with pets & does monologues to the camera. Can you guess who?" Just days ago, Baltie celebrated his first birthday in a meaningful way, by having a small party for children at the Virlanie Foundation. Erwan, on the other hand, just received his gold YouTube play button for getting a million subscribers on his YouTube channel.